Kheri is a 47-year-old father of 8. 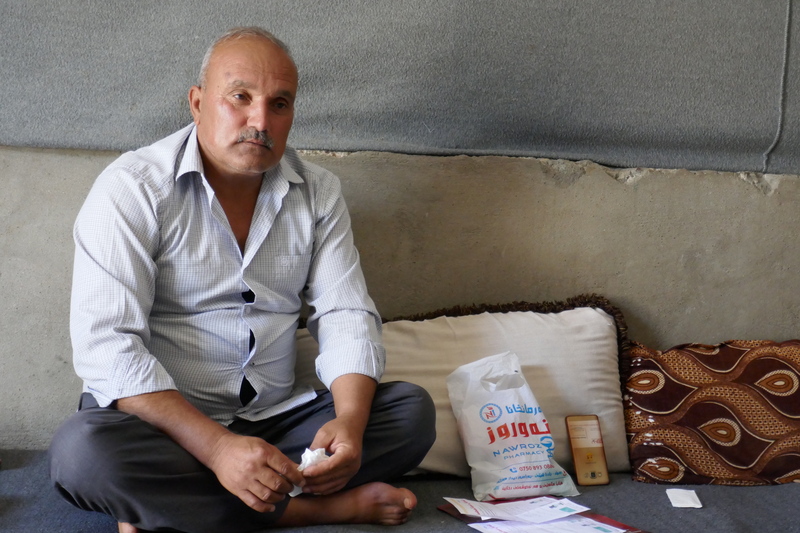 He is originally from Tel Quasab near Sinjar city, but in 2014, after ISIS’ invasion, he was forced to flee with his family. Kheri and his family now live in Khanke camp which is also home to approximately 10,000 other IDPs. There is only one member of Kheri’s family that is able to arrange work: his 21 years old son who is employed as a builder a few days a month. This is the only supplemental salary that the family of 10 has on top of the governmental IDP support allowance. Along with the stress of trying to feed ten people on 16 USD per person per month, Kheri has also been diagnosed with Thrombosis one year ago. This causes him chronic heart pain, and sometimes he finds it difficult to breathe. He has recently undergone a heart characterization and he now requires a percutaneous coronary intervention (through his skin) to clean his left coronary artery restoring full heart functionality. This procedure will cost 700 USD. By donating you can alleviate the stress of this loving father and help his family.